Today in Masonic History Levi Knight Fuller passes away in 1896. Levi Knight Fuller was an American politician. Fuller was born in Westmoreland, New Hampshire on February 24th, 1841. He attended public schools in Brattleboro, Vermont. He later apprenticed as a machinist in Boston. He took a job as a telegrapher to finance his education in engineering and manufacturing. Fuller eventually returned to Brattleboro where he joined the Estey Organ Company as an engineer and executive. There he was granted several patents including one for an international standard pitch. The innovation was adopted by manufacturers of musical instruments all over the world including Steinway Pianos. The maker of Steinway said of Fuller's innovation that it was "perhaps the most important achievement in the annals of musical history." Fuller had many other pursuits other than engineering. He was an astronomer and built his own observatory. He was also a member of various professional organizations including American Society of Mechanical Engineers, American Association for the Advancement of Science, Astronomical Society of the Pacific, and American Institute of Electrical Engineers. He was also a member of the Sons of the American Revolution and president of the Vermont Chapter. Fuller's philanthropic pursuits led him to being one of the founders of North Carolina's Shaw University, the South's oldest historically African-American college. In 1870, Fuller started the Fuller Light Battery, field artillery unit. Fuller funded and equipped the Battery for two years until it was accepted as part of the Vermont National Guard. His efforts meant that the Vermont National Guard was the first state to have a field rifled artillery. The unit won various efficiency and accuracy competitions. 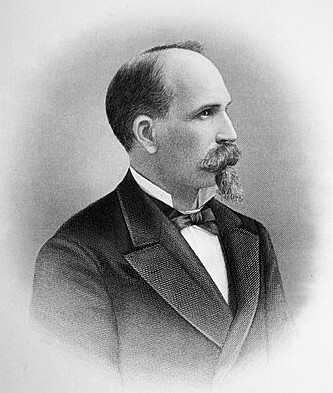 In 1880, Fuller was elected to the Vermont State Senate, serving until 1881. In 1886, he became the 34th Lieutenant Governor of Vermont, serving until 1887. In 1892 he was nominated as the Republican candidate for Governor. Winning in the General election he served the single two year term available to Vermont Governors at the time. Fuller was active in the "good roads" movement of the late 19th century and his term saw the creation of Vermont's first statewide effort to regulate road construction and maintenance in the form of the Board of Highway Commissioners. Fuller passed away suddenly on October 10th, 1896 from what is believed to have been overwork and anemia. Fuller was a member of Columbian Lodge No. 36 in Brattleboro, Vermont. He was also a member of Fort Dummer Chapter No. 12, Royal Arch Masons and Vermont Commandery No. 4, Knights Templar.